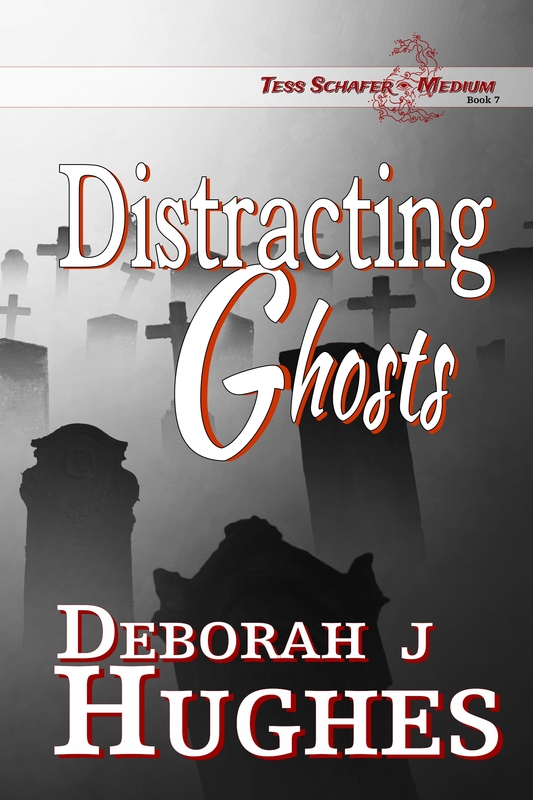 Free Book – A Paranormal Mystery! It’s been over six years since I published my first book and since then I’ve written nine! NINE! When I wrote BE STILL, MY LOVE I had no idea it would become part of a series. But one story sparked another and now I’m six books in with yet another in the works! My character, Tess Schafer, has grown as a medium through each book and as she grows so do I. It seems that I learn more and more from her with each story. I can honestly say that her spiritual connections help strengthen my own. Honestly, other than book four, ROSEMARY’S GHOSTS, I have not plotted any of my books. The stories unfold as I go along. As for Rosemary’s Ghosts, that plot came to me in a flash. I was riding along in our car (my husband was driving), and thinking about book three VANQUISHING GHOSTS (which I’d just finished writing) when suddenly a plot for a new book enters my head. I was so excited about it, I couldn’t wait to start writing. Although I knew what it was about, I didn’t know how it would all unfold so I was just as excited to write it as I was the others. People often want to know where I get my story ideas and I have to say that they come from spirit. I truly believe that. I don’t sit around trying to come up with an idea for a new book, they just come to me and often while working on another story! For instance, I knew while writing Be Still, My Love that I was going to write HIDDEN VOICES (book two) because the idea came to me while writing a scene that triggered the idea! When writing Hidden Voices, a scene from that story gave me the idea for Vanquishing Ghosts (book 3). Now, though I know the premise of the stories I am working on, I don’t know how they will unfold. For instance, in Hidden Voices (book 2) I knew I was going to write about Tess’s experience with a cursed gravestone in Bucksport, Maine (my hometown by the way!) and that’s all I knew. 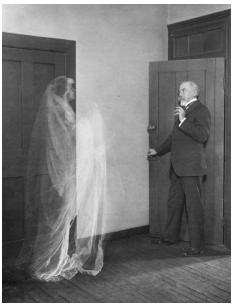 When the idea for VANQUISHING GHOSTS flashed into my brain, it was during a scene in Hidden Voices and all I knew was that I was going to write about Tess’s move to a new house which, of course, happened to be haunted. Many of the techniques Tess uses to protect herself and commune with spirit are the same that I too use. Of course, she’s way more talented and can do things that I only wish I could do. Also, I don’t think I could handle her gift as well as she does! I’ll tell you one thing for certain … I believe in the spiritual light that Tess is always talking about. I don’t just BELIEVE we have the power to protect ourselves, I KNOW it. When I was living in a haunted house, we knew there were several ghosts residing there and one of them was evil. I lived in constant fear and though I had no training in how to protect myself, the things that Tess talks about … prayers and guardian angels and imagining a light … I did all those things and they kept us safe until we moved away. The house is gone now but the spirits are still there, I feel them when we drive by and it gives me the “willies”. I even dream about that house to this day and always the dreams are of a nightmarish quality. Who those spirits are and why they are there, I just don’t know. I’ve thought about writing a story to try to figure it out. Maybe someday I will. After all, spirit knows what that is all about and maybe they’ll tell me. So anyway, after nine books, I’ve grown as a writer and I felt it best to go through Be Still, My Love and fix the issues that readers have found with it. There were questions about why things happened that never were explained and so I think I’ve cleared those up with this new edition. My thinking at the time was to leave some things open to question. Why I thought that was a great idea, I can’t say and now I realize it wasn’t such a great idea. My apologies to those who have read the story already! I’ll be curious to see how the new edition will be received. There will always be critics and people who won’t like it, I get that and expect it, but for those who do like this kind of story, it’s their reception I am curious about. I say that because it is THOSE people I am writing for … the ones who like the kinds of stories I write. After all, I too am a reader and I write what I like to read. I have to because I end up reading it about twenty or thirty times! If I don’t like the story, there is no way I can force myself to read it that many times. Trust me! With the new edition now completed, I wanted to give interested readers a few days to download it for FREE. So from March 10 through Mar 12, BE STILL MY LOVE will be FREE to download! Now, I’m not saying it’s perfect but I do think it’s better! That doesn’t mean some people won’t like it, some won’t. One of the things I was criticized on was the mention of “God” in the book. My character has a strong affinity with God and that is included in the story. Me and my character both believe that God is part of all existence and so there is no way to write a story about spiritual matters without the inclusion of God. So, if reading stories involving God bothers you … then Be Still, My Love might not be for you! That is as much of a warning as I’m going to give. I say that because I was told by some critics that I should WARN people of God’s involvement in the synopsis! WARN them? Really? Sorry, but that still surprises me. I truly do love to hear from readers and so if you’ve read the book, either the old edition or the new, what did you think of it? Do you have any questions? Let’s talk!! Until next time, God Bless and Peace Out!